Yesterday was a day of thanks and a day of football with two blowouts and nail bitter. The Detroit Lions blew out the Philadelphia Eagles 45-14 in what will most definitely be the nail in the coffin of Chip Kelly’s career as an NFL coach. Owners tend not to like losing three straight with the last two loses by a combined 90-31 score. The afternoon game showcased the Panthers putting their undefeated record on the line against Dallas and walked out a 33-14 winner. To add insult to injury, literally, Tony Romo is done for the season breaking his collarbone. I want to point out that the Panthers Luke Kuechly had two interceptions tying him with Dez Bryant’s total receptions plus Kuechly returned the interceptions for 48 yards and a touchdown where Bryant only had 26 yards on his two passes. The night game was a Welcome Home event for Brett Favre as the Bears headed in to Green Bay where Jay Cutler has never won… until last night. In a rain soaked game it came down to a last minute goal line stand by the visiting Chicago Bears to eek out a 17-13 win. 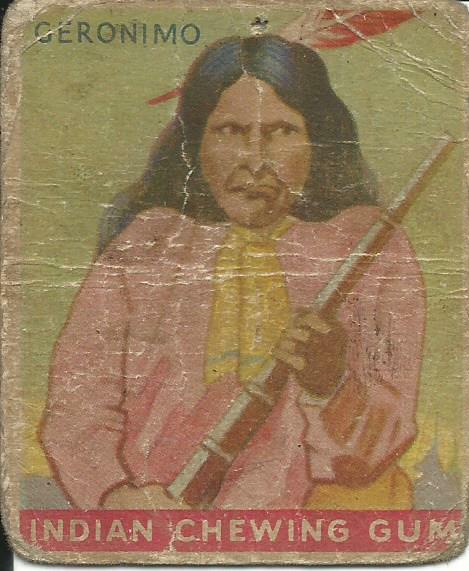 This month’s VCoM comes from the 1933 Goudey Indian Gum release. This 1933 Indian release is made up of 216 cards depicting famous Native Americans, tribes, events, cowboys and adventurers like Buffalo Bill Cody, Sitting Bull, George Custer and Four Bears. 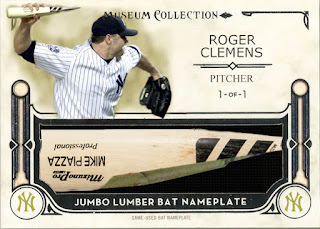 The set was skip numbered and cards were released in packs of Goudey gum in 1933 as an incentive. If things were not difficult enough to catalog the release add in different backs. This set has various ink colors as well as “Series of …” backs (48, 96 and 192) plus a slight change in the wording too. 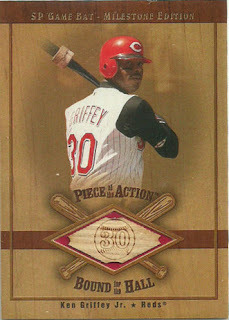 This card is officially listed as #25c with a “Series of ninety-six” back. 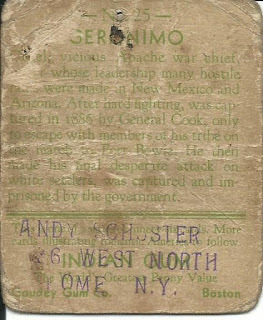 The Geronimo card is in horrible condition with a hole dead-top center (you know some kid has this tacked to the wall), rounded corners, creases upon creases and based upon the giant stamp on the back the card the original owner apparently wanted everyone to know it was his card. 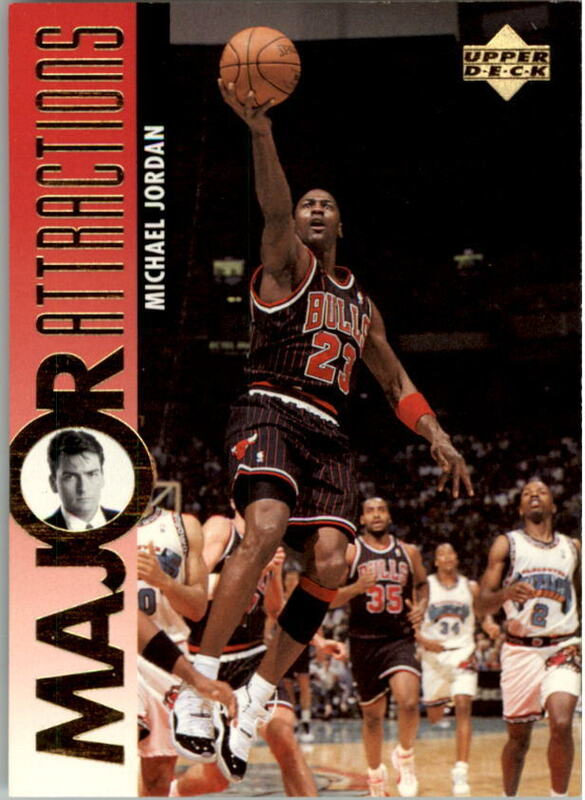 The card is basically a filler card until I can get a better copy for my collection and it only cost $4 shipped so the condition is not a major factor. This post comes with a little story, though at this point and time it appears to be a dead end. I have been collecting for roughly 25 years and while I have seen cards with names and all kinds of marks over the years but I have never come across a card where a kid stamped not just a name but an address too. I decided to play Encyclopedia Brown and went on a search using the address and I was able to come up with Andrew listed in the 1940 census with his birthdate as 1924, meaning that he would have been 9 years old when he owned this card. I was unable to find an address for Andrew but the census listed his siblings and I was able to find a PO Box for his younger sister Martha still in Rome, New York. I wrote a letter to Martha explaining that I was trying to get in contact with Andrew or anyone in his family who would like the card. I was hoping to return a treasured card to the Schuster family knowing that I would love to have any cards that were owned by my father or grandfather when they were kids. It has now been a year and I have not had any responses from Martha or the family so I am figuring that this is a story that will remain unfinished. When it comes to Brian Grey and Leaf you never know what to expect and when 2015 Leaf Trinity Baseball hits shelves next month there will be special artistic Kevin Costner autograph cards inserted randomly. 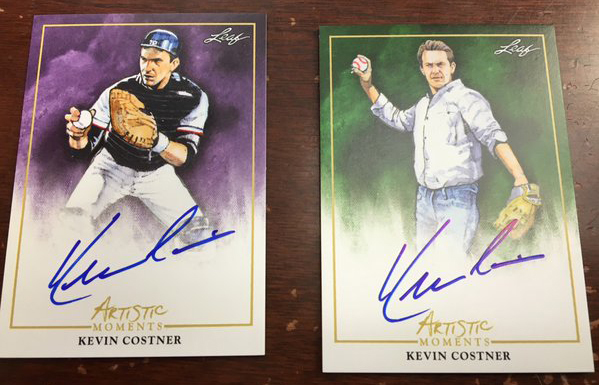 The cards are based on Costner’s three baseball movies Bull Durham, Field OF Dreams and For The Love Of The Game. 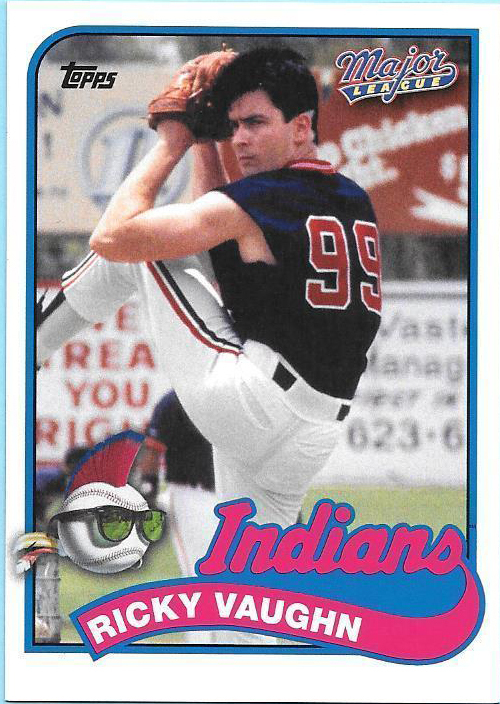 So far only the Crash Davis and Ray Kinsella card have been previews on Leaf’s Twitter page. 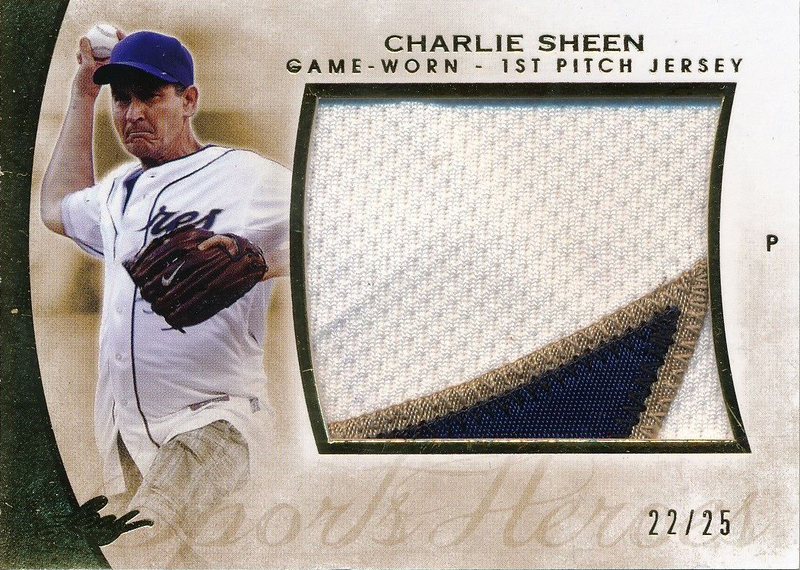 My favorite of the three is Bull Durham, who doesn't love the character Crash Davis? 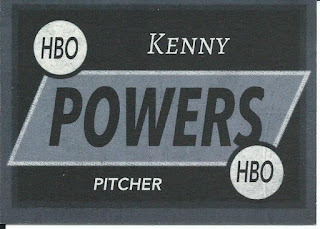 I would love the Crash Davis version but I expect these cards to be well outside of my price range. 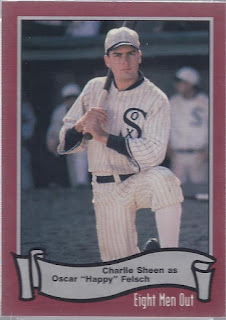 Also, if you haven't seen For The Love Of The Game and you are a baseball nut there is an easter egg at the end where you take a quiz and when you get the answers all correct there is an old unseen video clip of Babe Ruth from the 1920s or 30s that is well worth watching the movie. 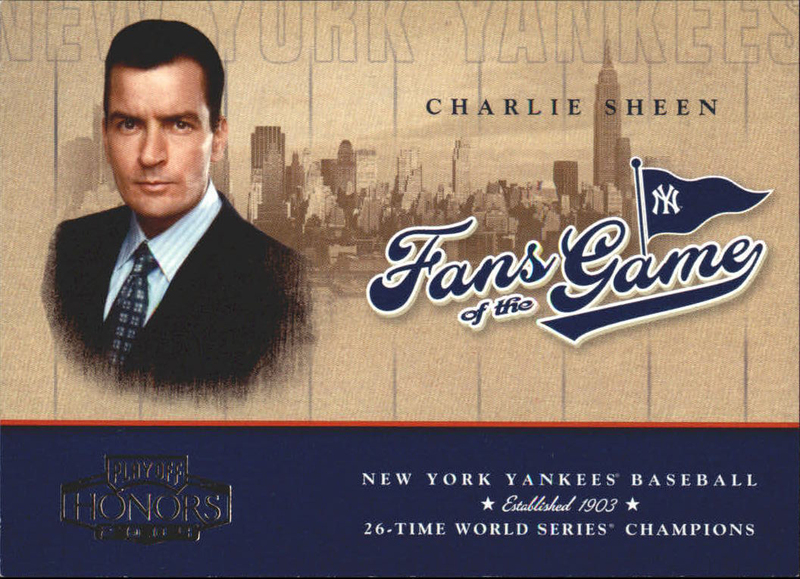 I watched the movie when it came out on DVD solely to see the Babe Ruth clip. Open Or Do Not Open...There Is No Try! I finally got a package today that I have been waiting for well over a month, a long distance package from Japan. 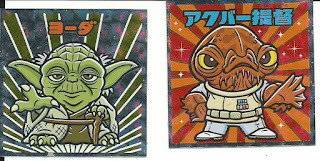 The envelope contained two packs of Star Wars Bikkuriman chocolate wafers with each pack containing a sticker. 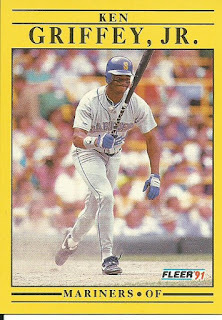 I had seen the Star Wars Bikkuriman stickers on someone’s blog a couple of months ago, Ryan from This Card Is Cool, and I started watching the stickers on eBay. Usually stickers sold for $3-4 each plus sometimes a shipping charge on top of that so when I came across a dealer out of Japan selling two sealed packages for $0.99 plus $3 shipping I jumped on it. 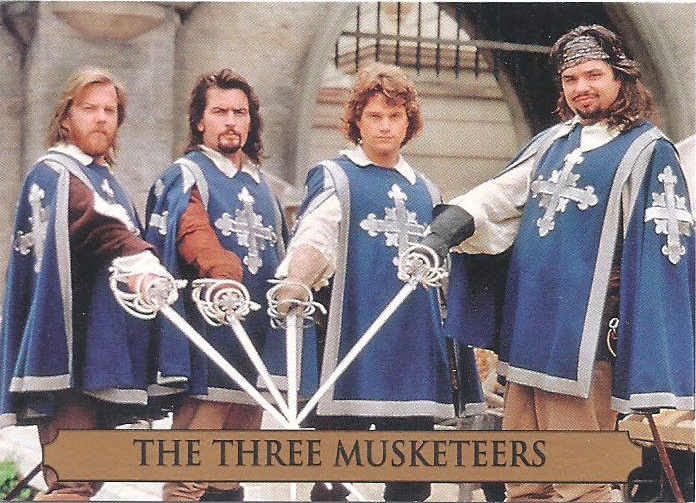 There are stickers from Episodes IV-V-VI and stickers from Episodes I-II-III, the packages are marked accordingly. My two are from Episodes IV-V-VI. You can tell by the characters on the packaging plus on the lower right is the label which movies the stickers are from. I pulled a Yoda and Admiral Ackbar. The downside is that the seller did not send them off right away, almost a month after I purchased them I finally got an email saying they were shipped. Since they were from Japan I figured they would be awhile so I didn’t mind. I got them today and opened them with my daughter, she was more interested in the wafer cookie. Here is the unwrapping and the wafer cookie is pretty good. 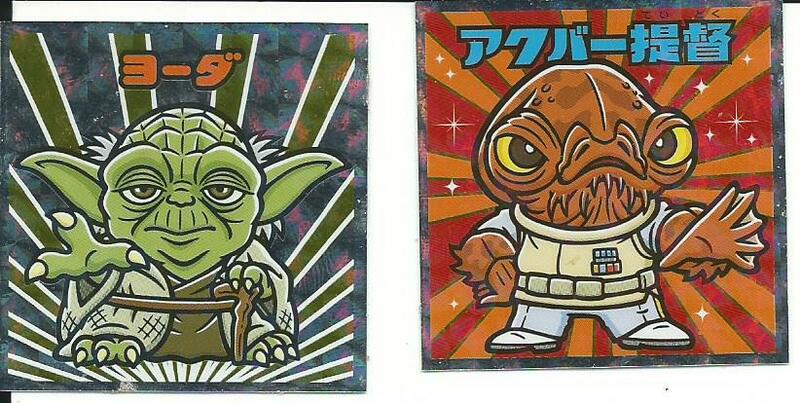 While I was waiting for this package I came across a new dealer from Japan that was selling individual stickers for $0.99 with free shipping so I bought a Yoda (so I have two now) and then the next day I bought a Princess Leia and Chewbacca. The seller had them to me within a week of my purchase and on top of the stickers he also included two origami storks and two packs of green tea. This guy went above and beyond as a seller. Don’t you hate when a small error or variation is made somewhere along the line of a cards design and you feel compelled to hunt down the error and corrected card variations for your collection? 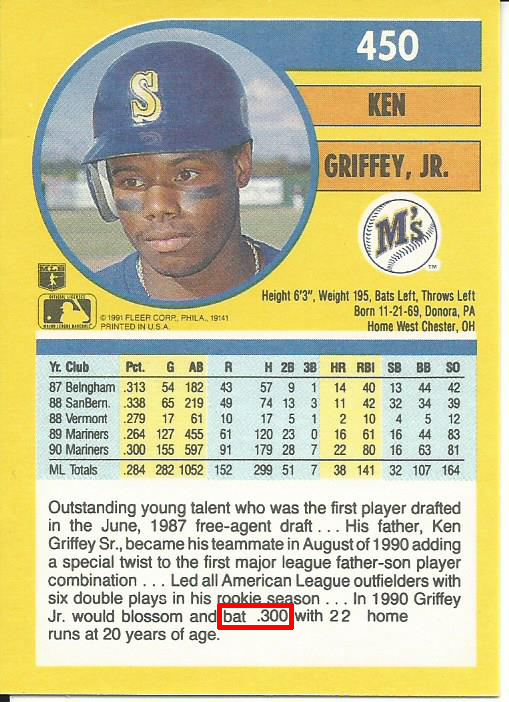 Case in point the 1991 Fleer baseball release, there are 8 variations/errors including Ken Griffey Jr.’s card. The error? 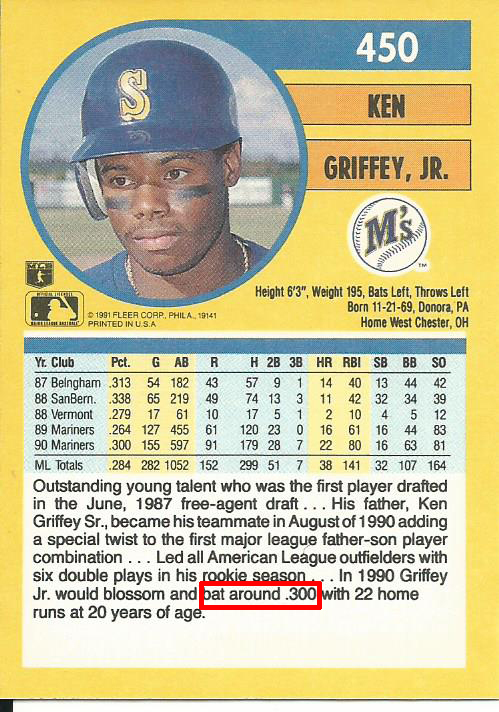 Card #450A says “Bat .300” where the corrected #450B says “Bat around .300” in the bio on the back of the card, I have highlighted the addition of a single word that made me crazy enough to purchase both versions. 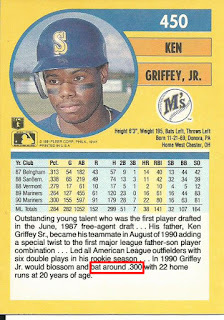 I also noticed that the version with the word "Around" also has the bio paragraph closer to the stats but that appears to just be a placement during printing. 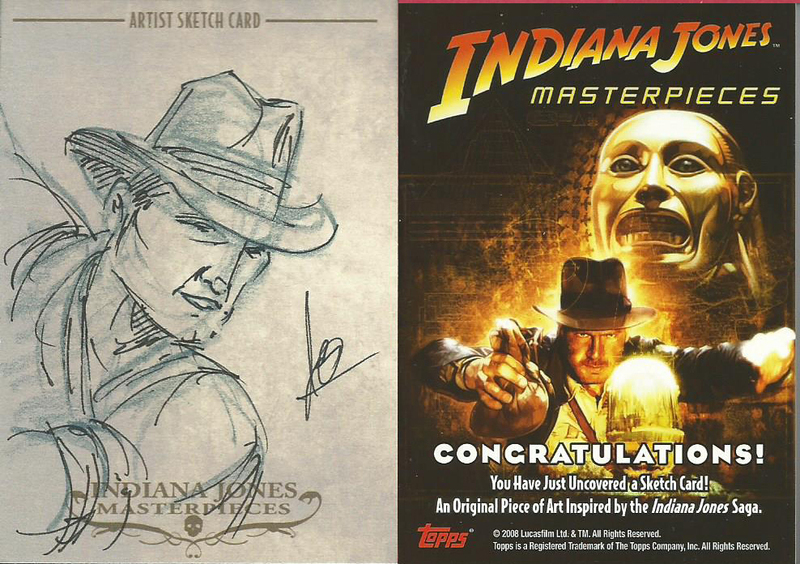 This month’s Art Gallery display comes from the 2008 Topps Indiana Jones Masterpiece release. The artist is Jeff Booth, I am unable to find any information about the artist though. This is my second Indiana Jones Masterpiece sketch and like my other card from the release it depicts a stern Indy. 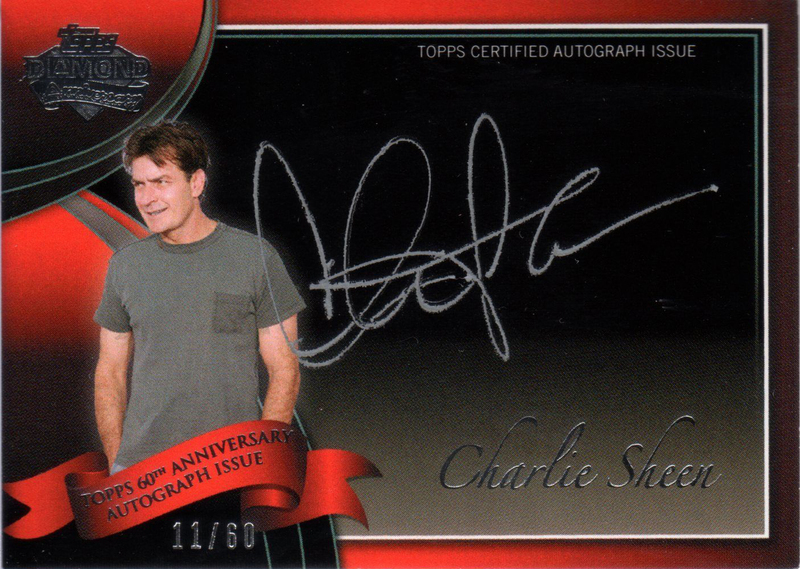 This card was also $4 cheaper than my other Indy card and I think this one is much cooler because there is more detail. 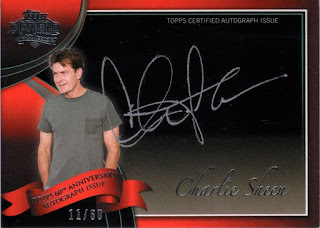 Yesterday morning Charlie Sheen appeared on the Today Show to make an announcement that he is HIV positive, the announcement while unexpected was not startling considering his poor decisions with drugs and prostitutes. Now as Magic Johnson has shown being HIV positive is no longer a death sentence that it once was and with proper treatment and safety he can continue to live his life in peace. For collectors of Charlie’s cards there are plenty of options going back to the 1980s with Pacific’s 1988 Eight Men Out set. Since then he has made appearances in sets like 1993 Skybox Three Musketeers, a co-star appearance with Michael Jordan in 1995, Donruss’ 2004 Playoff Fans of the Game (plus an autograph version) and more recently in some Leaf and Topps sets. 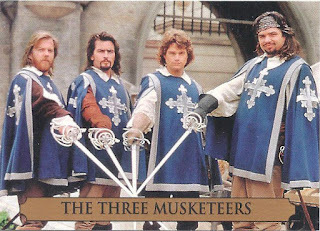 I do not own any of these cards, the images were pulled from eBay. 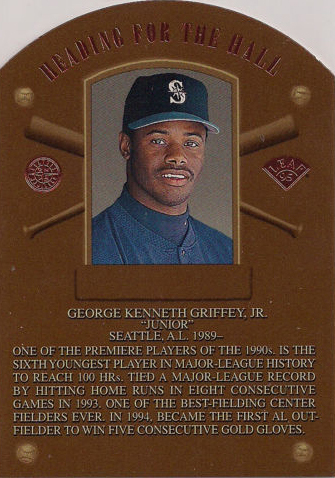 His cards have always had a premium, at least his sports cards, so I would expect prices to possibly increase with this announcement but over the long run prices should balance out as long as his health does not get any worse. 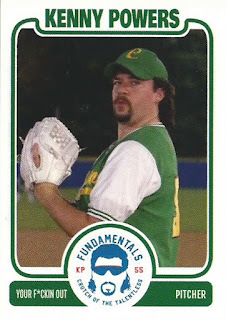 Last month I picked up the 2009 Eastbound & Down set from HBO and I had discussed a card of Kenny “F-ing” Powers in his Charro’s uniform that I initially thought was some sort of promo after seeing the back but Gavin pointed out that he believes it to be a custom card instead. 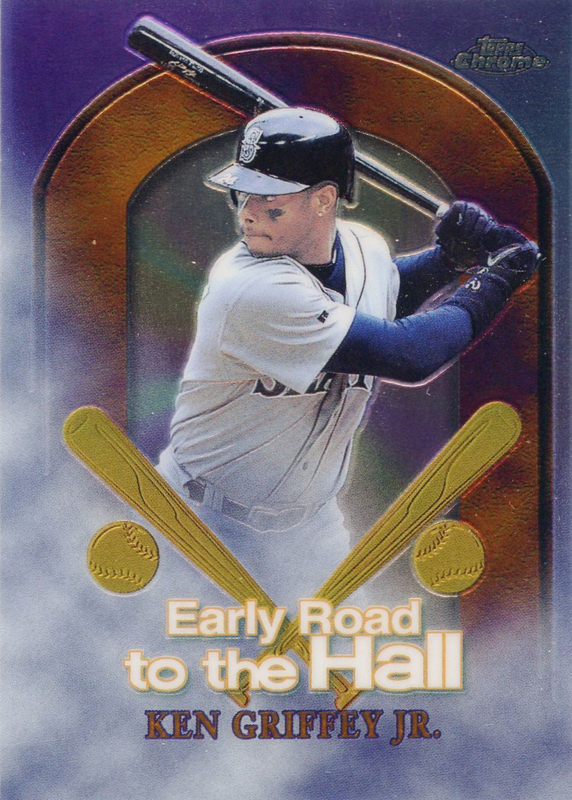 That changed my mind on hunting the card down considering that some of these can run over $10, there are currently two available on eBay at $6.99 and $18.95 BIN prices. But I couldn't argue when I found one under $5 and I ended up picking one up this one for $4.59 shipped. 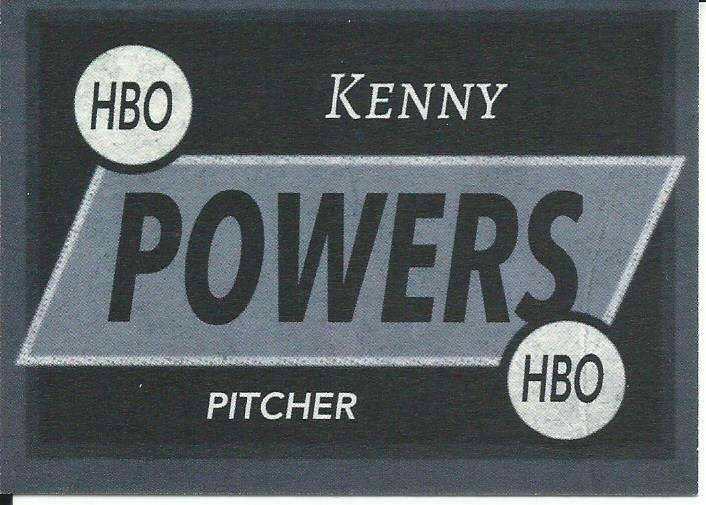 The card is a custom card but it is a nicely done custom. 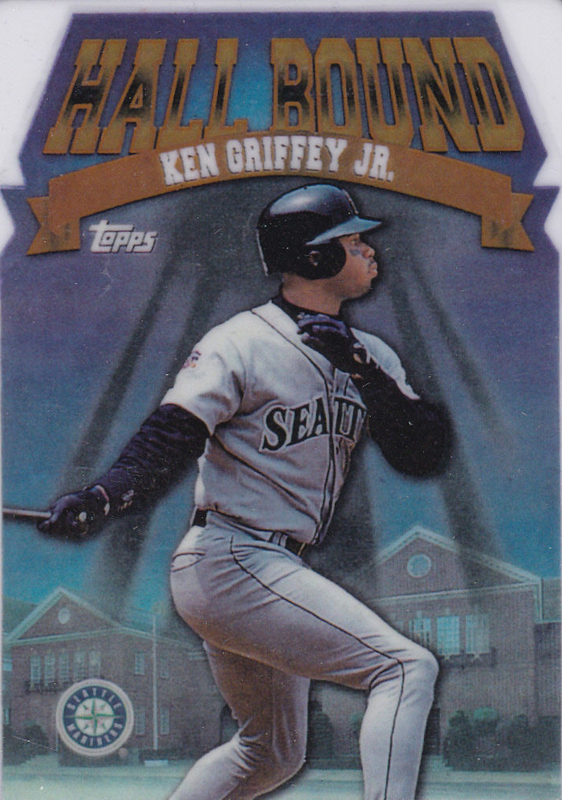 It looks and feels like the cards you would pull from a pack in the 1990s, nothing special but a solid card. I now consider my Kenny Powers collection complete. There are always surprises in the UFC and it seems like nobody, even champions, are immune. Some of the top fighters have disappeared but one always seemed “Unbeatable” but the last of the Greatest Of All Time fighters fell Saturday in a thriller between Rhonda Rousey and Holly Holm. Going in to Saturdays fight Rousey was 12-0, if you take her amateur fights in to account she was 15-0 and didn’t seem to be slowing down. There was actually talk over if/when Rousey retired would she go undefeated but Holly Holm seemed to disagree. Going in to the fight she was 9-0 but still the underdog. When former UFC Light Heavyweight Rashad Evans picked Holm as an upset during the preliminary fight introductions he was mocked for his selection. Even though Rousey lost she is still a big star and UFC collectors are not like collectors in other sports, UFC collectors are fiercely loyal to their fighters. 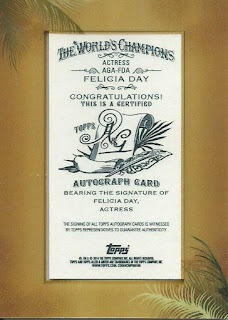 So just because she lost it does not mean much of a dip in her prices, sure some collectors who were in to her cards as investment may bail most collectors will continue as before. With her appearing in action films, even starring in the upcoming Road House, she may even pick up some collectors from the entertainment world. 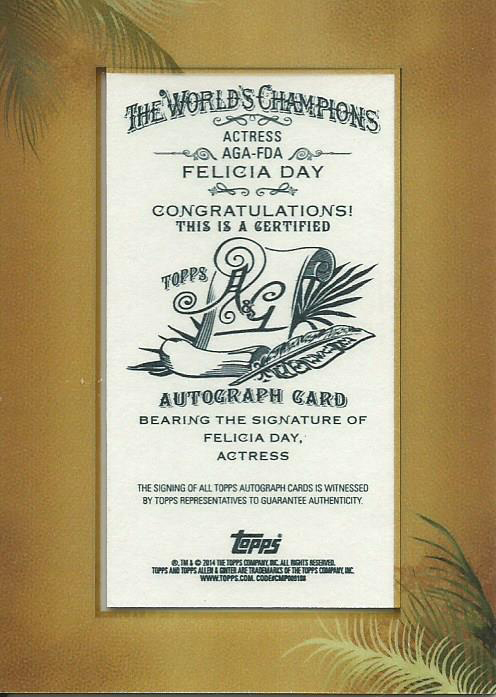 Her autographs continue to demand hundreds and sometimes thousands and even her relic cards are remaining stable with some of the most basic relic mat cards selling in the $25+ range. Former New York Knicks draft pick Michael Wright was found dead in Brooklyn on Tuesday, he was 35 years old. His death has been listed as serious head trauma and is being treated as homicide. He was found in the back seat of his Lexus SUV covered with black garbage bags. He had been reported missing by his roommate on November 5th with residents of the neighborhood where he was found saying the SUV has been parked on the street since November 8th. 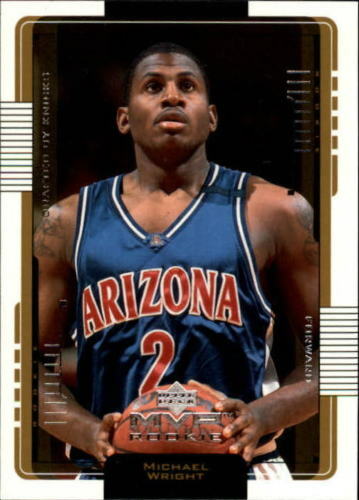 Wright is a University of Arizona product and was starting forward of the Arizona team that made it to the 2001 National Finals against Duke. 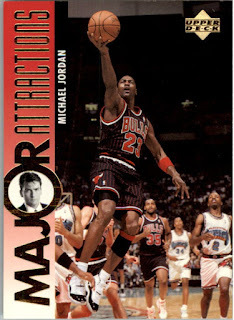 He was selected in the second round of the 2001 NBA Draft by the New York Knicks but he never played in the NBA instead playing in Europe, Israel, South Korea and Turkey. This is the second time a University of Arizona basketball player met a tragic ending in the past 15 years. In 2002 Brian Williams, who changed his name to Bison Dele during his NBA career, was presumed murdered in July 2002 by his brother while on a boat in the South Pacific. Because Wright never played in the NBA he only has a couple of cards with most depicting him in his University of Arizona uniform. 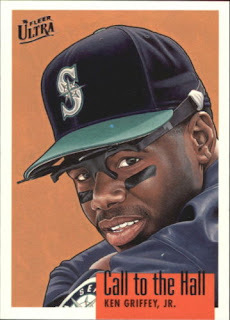 He has a couple of autographs from SAGE and HIT and even with his passing they can still be picked up for $6-8 each. There is an amazing contest going on over at Sport Card Collectors blog with the chance to win a print of your favorite athlete from Victory Fine Art. 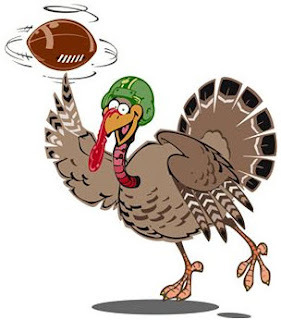 Take a look at the < contest information >, which runs through November 18th. 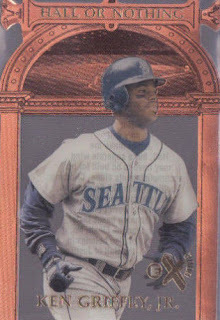 Two years ago I made the pledge to cut down on impulse card purchases and I have done a pretty good job with it too but occasionally I will come across something and still bid on it just because. 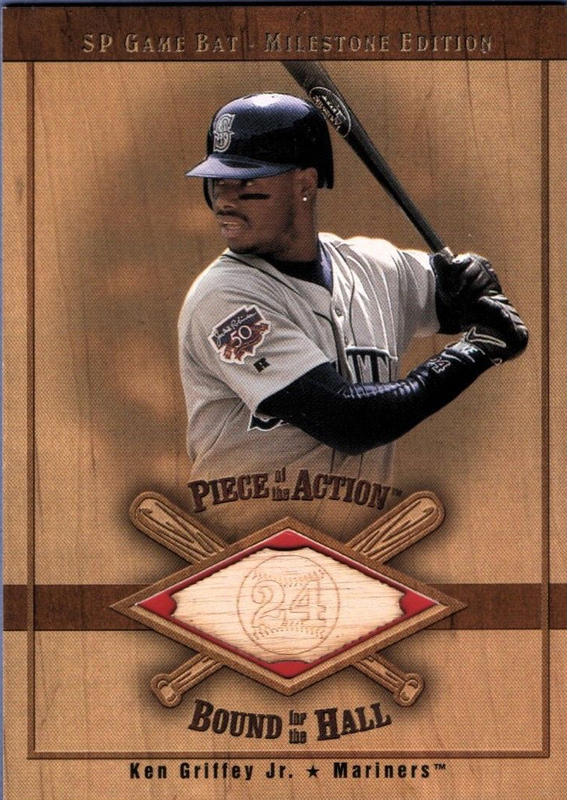 The one thing that I have done well with is I keep my impulse purchases to cards of players/teams/sets I already collect to at least keep my collection focused. A recent impulse buy deals with aliens. 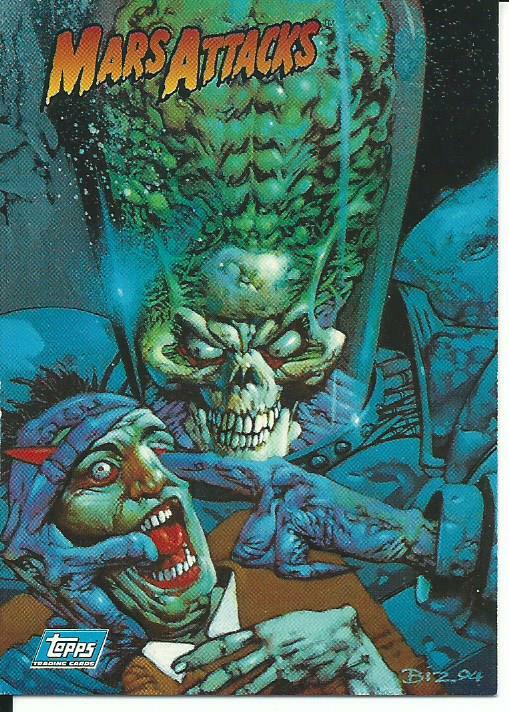 This is a 1994 Topps Mars Attacks promo card. In 1994 Topps decided to build on their Mars Attacks sets from the 1960s, this was two years before the release of the awesome Tim Burton Mars Attacks movie. I have always been a fan of the various Mars Attacks releases, and obviously the movie, and will grab various cards as I come across something I think is cool. 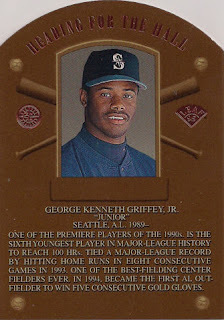 This promo card was one of those cool finds. I have considered before but never paid it much attention but my urge finally kicked in and I picked one up. 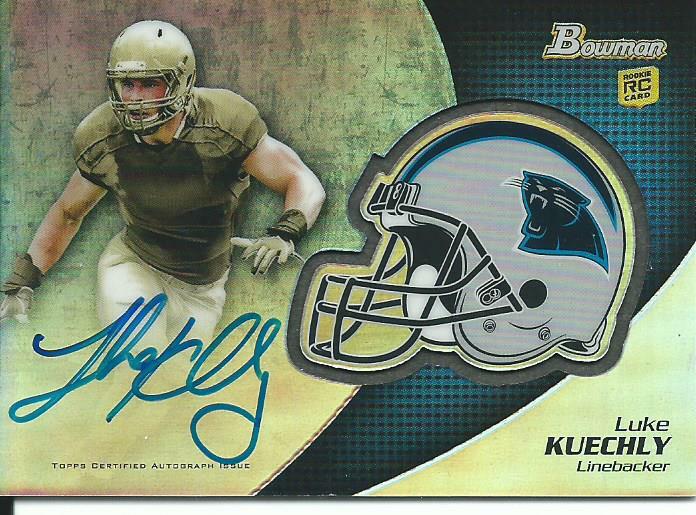 The reason I love this card is the gruesomeness, it is not a common sight to see a Martian poking their finger in to someone’s eye an action recently repeated by the Broncos' Aqib Talib. Today 15 newcomers were announced for the 2016 MLB Hall of Fame ballot. Today’s post will be themed for the almost certain lock for induction in to the Hall of Fame. 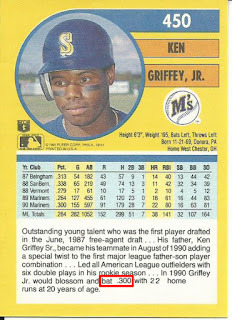 Sadly I do not have any of these cards. What better time to post one of What If? cards than following the Mets demise? Today my What If? 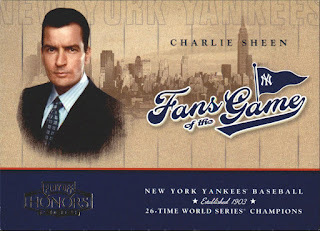 card is based off of the last time the Mets were in the World Series in 2000 when they lost to the Yankees. Early in Game 2 controversy struck when Yankees pitcher Roger Clemens picked up the broken bat of the Mets Mike Piazza and threw it at Piazza. 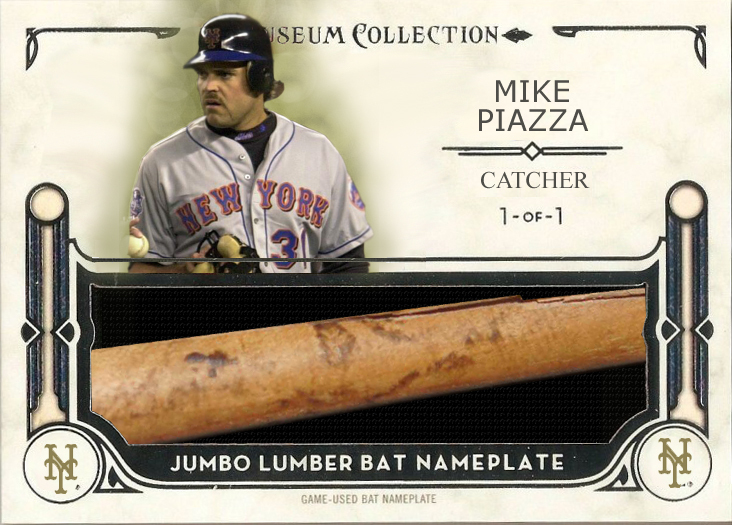 Clemens later claimed it was unintentional and that he didn’t see Piazza along the base line and that he only threw the bat because he was full of nervous energy. So what if Topps got a hold of the bat and made a couple of 1/1 cards? If your team makes it to back to back championship game/series of their sport (and they could only win once) would you rather your team win the first game/series or second game/series? For example; the Royals in the 2014 & 2015 World Series losing in 2014 and winning in 2015 while the Seahawks flipped it winning Super Bowl 48 and losing Super Bowl 49. This is one of my “Rainy Day” posts that I wrote awhile back for the days I have writer’s block. Last year in Allen & Ginters there were a couple of entertainers that made it on to both the autograph and relic checklisgts. 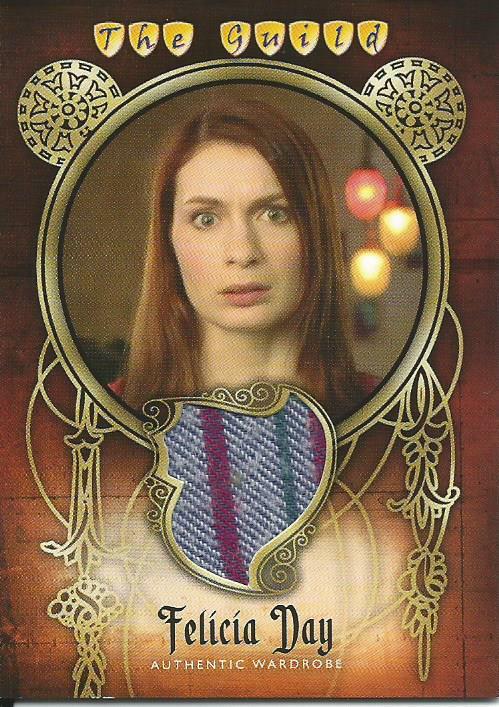 Two of them; Kevin Smith and Snoop Lion (he has since returned to using Snoop Dogg) are pretty well known while Felicia Day is a geek goddess. 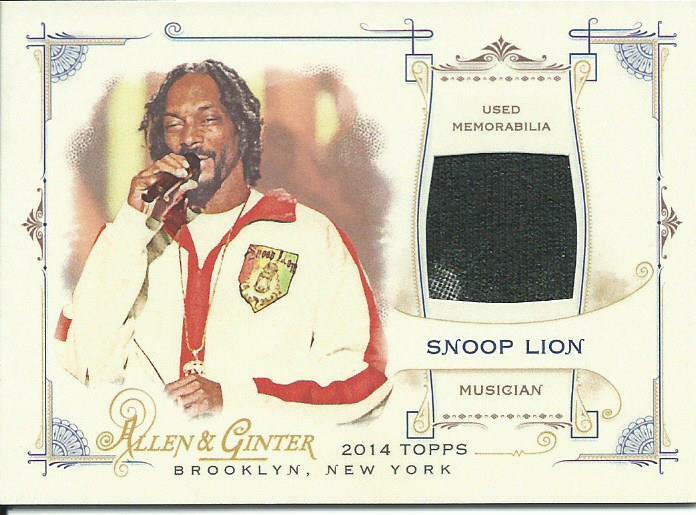 I picked up the Smith and Snoop Dogg relics for $9.14 total shipped for both cards. Both cards are multi-colored with the Smith having a nice white/blue split while the Snoop Dogg actually has three colors. The majority is black with the white spot in the bottom left corner and along the bottom there is a yellow-green color that is difficult to see. The seller threw in a Snoop Dogg base card in the sale. 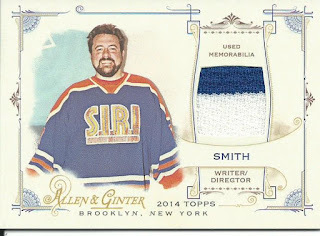 I was hoping to pick up an orange/blue Kevin Smith multi-colored relic but they tend to run a bit more so for the deal I got with the card I got I am happy. 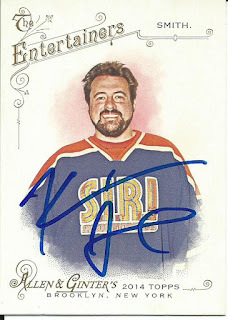 I would love to add their official autographs but they are currently well outside of my price range so I went with an IP Kevin Smith autograph for $10 shipped. 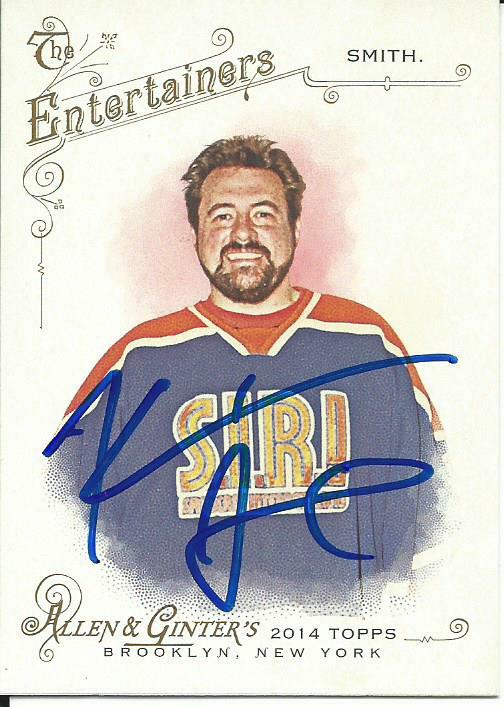 There are actually similar Kevin Smith autograph cards available for $9.99 that are being sold by Jay And Silent Bob’s Secret Stash, the comic book shop in New Jersey owned by Kevin Smith. 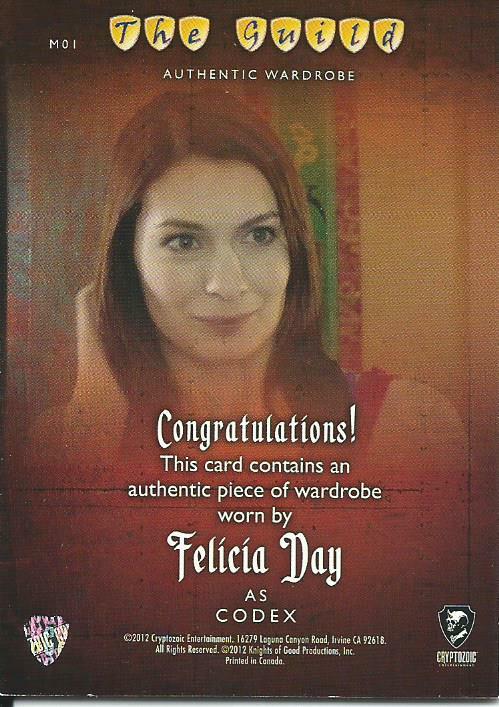 Felicia Day is an intelligent, hilarious, beautiful amazing person. She is an actress, producer, director, and writer and above all she is a redhead (I love redheads). Many would consider her an “indie” personality because she is probably most well known for her internet web-shows Dr. Horrible’s Sing-Along Show (Hilarious! ), The Guild and Dragon Age: Redemption as well as video games and cartoon voice work but she has also appeared in major shows like Buffy the Vampire Slayer, Eureka and Supernatural and I have to admit I have a huge crush on her. 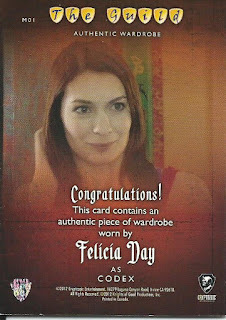 Day has relics and autographs in both Buffy and The Guild releases but prices of those cards are insanely expensive so when Topps included her on the checklist I figured I had a better chance of adding her cards to my collection. I picked up her relic for a whopping $1.50, it is a single colored dress relic but I am looking to add a multi-colored relic card eventually. 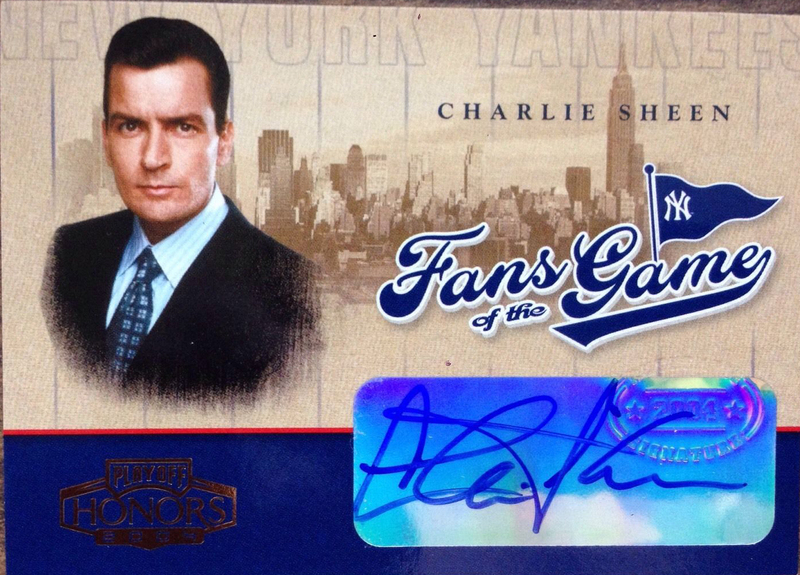 The autograph ended up running me $20.26, which is about the price range for her A&G autograph cards. 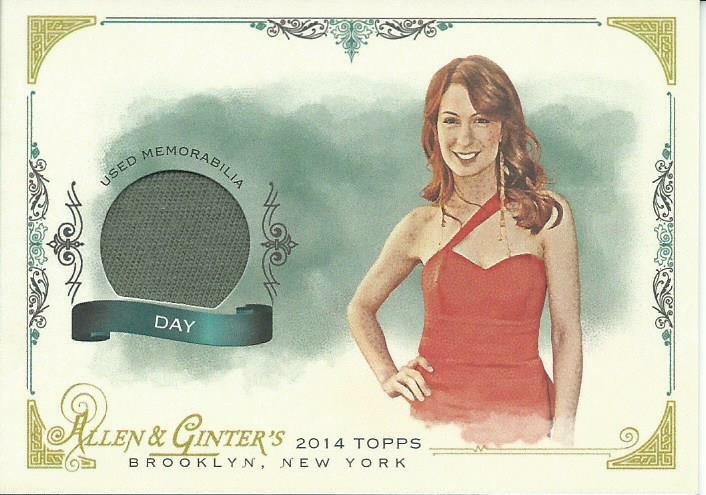 Just this month I was able to add her The Guild relic for under $20 shipped.